1.1. The Rent must be paid in advance on the Rent Payment Day specified in this Agreement. If the Rent is late, the Landlord can charge interest at 3% above the Bank of England base rate and interest will be charged until the date full payment is received. 1.4. Unless otherwise agreed in writing by the Landlord, The Tenant must arrange to be billed, for and pay charges in respect of water sewerage and environmental charges for the property, and to pay for utility supplies consumed and the television licence fee for the property. The Tenant agrees to remain liable for these items after the Expiry of this Agreement until the tenancy has legally ended. Where the Tenant allows, either by default of payment or specific instruction, the utility or other services to be cut off, whether during or at the end of the tenancy, the Tenant is to pay, or be liable to pay, the costs associated with reconnecting or resuming those services. 1.6. Rent Increase- The Landlord may increase the Rent after the Expiry of the fixed term of the Agreement by giving the Tenant at least one months' notice in writing prior to a Rent Payment Day specifying the amount of the new rent. 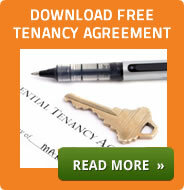 The Landlord will not increase the Rent during the fixed term of the tenancy. 1.7. The Tenant does not need to pay Rent for any day during which the Property is uninhabitable. This does not apply if the Property is uninhabitable because the Tenant or their guests or family did something (or failed to do something) which invalidated the Landlord’s insurance policy in respect of the Property. 1.8. If the Tenant is in breach, then they may be liable to pay the Landlords reasonable costs that include VAT: If the Landlord has to send a letter because the Tenant has broken the Agreement (including owing rent) a cost not exceeding £25; Costs for any payment that does not clear is recalled or fails a cost not exceeding £30; for a Section 8 Housing Act 1988 notice because of a breach of this Agreement a cost not exceeding £50 if the Tenant does not respond to the notice, and as a result the Landlord has to visit the Tenant at the Property, a cost not exceeding £50; if the Landlord has genuine reasons for believing that the Tenant has abandoned the Property and has to visit the Property and make enquiries of neighbours and authorities a cost not exceeding £50. It will be registered with one of the Government authorised tenancy Deposit Schemes and held in accordance with the rules of that scheme (the “TDS Rules”). Full details of the Deposit Scheme will be notified to the Tenant as an addendum to this Agreement. 2.2. Subject to the Deposit Scheme rules, the Deposit is held to pay for any financial loss suffered by the Landlord because of the breach of any Tenant obligation outlined under this Agreement including non-payment of Rent or utility/Council Tax bills, damage to the Property or any of the items listed on the Inventory. 2.4. The Lead Tenant – Where there are, multiple Tenants the first named shall be the representative to act on behalf of you all jointly and individually when dealing with the Deposit. Another of you can replace the Lead Tenant, so long as we are notified in writing by a majority of you. If no Lead Tenant is specified then the first or only named Tenant shall be the Lead Tenant. The Tenant cannot use the premises (including common parts) or allow others to use the premises in a way, which causes a nuisance, annoyance or damage to neighbouring, adjoining or adjacent property; or to the owners or occupiers of them. Or is in any way illegal, immoral or damaging to the Property. 3.1. This includes any nuisance caused by noise including loud music or other noise which can be heard outside the Property between 11pm and 7.30am or which will cause annoyance or annoy anyone at any other time. 3.2. The Tenant must: not allow children to live in the property; not allow animals in the property; not allow smoking in the Property. Unless the Landlord consents in writing and such permission will not be unreasonably withheld.